It’s halfway through January and I am going strong with my Project Life pages. I am loving using the app, especially on my new iPad, the extra space and faster processor just makes it so much easier! The 9×12 format has taken some getting used to but I have a good idea now of which templates I can use for this and I think I will probably stick to the same 2 or 3 templates. I’m working out a good process flow for getting it all ready so the spreads come together quickly and efficiently. I am hoping to stick to a couple of kits this year for consistency. Last year I just used whichever kit fitted what I need and it looked messy. This is the downside of the app, there’s just too much choice! I have just updated the app and the ‘Everyday’ core kit is exactly my style, there’s lots of white space and plain design. I think that along with ‘Midnight’, ‘Project 52’ and ‘Seafoam’ will be my go-to kits. I’ll still be adding in extra cards that I’ve purchased elsewhere but I think they’ll be my main kits. How are you getting along with your pocket scrapbooking this year? 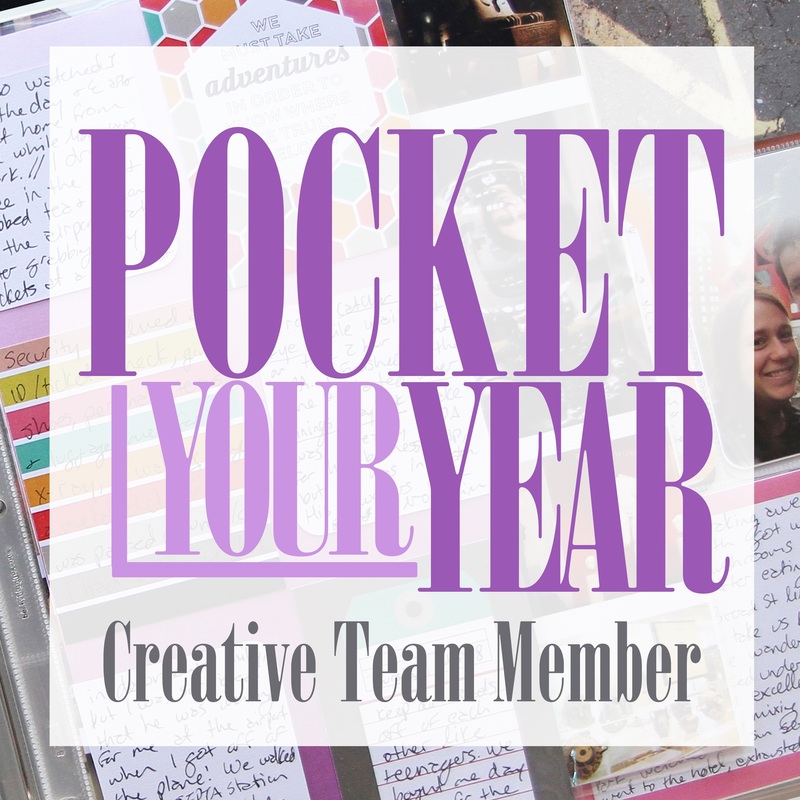 I am so excited to announce that I am part of the Nerd Nest Pocket Your Year creative team for 2016! Megan is a true inspiration to me and I loved taking her class in 2015. It really helped me solidify my pocket scrap booking approach and taught me that it’s ok to change things up if it’s not working, pocket scrap booking is 100% for me, I don’t have to answer to anyone else. I’m looking forward to working some awesome ladies in 2016, head over to Megan’s post and show some love to the other team members. Keep checking back to see my pocket scrap booking and more in 2016. Happy New Year to you all and I hope you have an awesome 2016! 2015 was a big year for me, I made some pretty big decisions and I changed a lot of things up, they worked really well for me. I also kept a lot of things the same in 2015 and they worked well as well. I’m working on my plan for 2016 and wanted to share it all with you. I have three main areas that I’m planning for 2016, my planning system, my One Little Word and my Project Life. This year I spent a lot of time researching the bullet journal amongst other things. It resonated with me and wasn’t far of how I had adapted Getting Things Done to work for me. At work we have to use a system to log all our tasks and this meant that I found the GTD system difficult as I was duplicating work. The bullet journal seemed like the obvious answer to me. I’ve been using it for nearly three months and I am loving it. It’s the perfect blend between productivity and creative outlet that I need in my daily life. In 2016 I’m going to continue with my bullet journal and I’m adding some bits in, I follow some awesome ladies on social media who inspire me to make it work, for me. I am continually adapting my journal and it is really helping me to keep track of my tasks, goals, notes and helping me be more productive, both at work and at home. My One Little Word in 2015 was FOCUS and although I didn’t complete all the assignments set by Ali I did take some time each month to reflect on my word and work out some monthly goals around my word. Focus served me really well and a lot of the changes I made were because of this word. In 2016 I am moving away from focus and into STORY. I want to spend 2016 telling my story, working out where my story will take me and to be best the best story teller of my life that I can be. I have signed up for Ali’s class and I am aiming to complete all the assignments. I’ll be documenting my progress with my word over the year here on my blog. I started 2015 using a 6×8 album for my project life system. This was working well but as I got further into the year I started falling behind and found the time factor in creating physical pages was bringing me down. I swapped up mid year to using the Project Life App but still going with 6×8 and this worked so much better for me. It meant that I could create pages on the go and I always had it at my fingertips. In 2016 I am going to continue with using the Project Life App but I am moving away from 6×8 and instead I’m going with 9×12. This is proving difficult as the app doesn’t include many (only 1) 9×12 templates so I am having to improvise. I’m taking the 12×12 templates but only using 9inches of the template, therefore leaving one column free and cropping it out to form a 9×12 page. I’m looking forward to what 2016 will bring and documenting my story along the way. I am once again joining in the 30 Days of Lists challenge for September, and this time I am determined to see it through. What is 30 lists I hear you ask? 30 Lists is a challenge run twice a year by the awesome Kam of Campire Chic and Amy of Lemon and Raspberry. The idea is that each day for 30 days you write a list, that is it, just a list. Some people don’t have time for a scrapbook page each day, but one list, everyone can do that. There are so many varieties on how people list, from putting it in their Project Life pages, to making a minibook, to doing it digitally.I managed the first round in March 2011 but since then I have never managed to finish a set of lists. Last time I just had lists in Evernote and that kind of worked for me but it still wasn’t something that I found I could do everyday. I even prefilled the notes with the titles of each lists but that still didn’t help me. This time round I am choosing to do my lists in my new planner, a small BlueSky Day Designer. It is something that I know I’ll have open everyday and I will be looking at all day. I bought some larger post it notes and simply stamped 1-30 on the top corner of each note with an Amy Tangerine stamp set and some black Staz-on ink. I then pre filled all of September with these post-it notes in my planner so I am ready and raring to go tomorrow on 1st September. I’m planning to keep it simple, unless I decide to “pretty” it up, no embellishments, no sticking etc . . . just a plain ball point pen (I prefer Papermate InkJoy pens). I have no idea what colour it will be in, I have a pack of 6 different colours on my desk so whichever I decide at the time will be used. Are you joining in 30 Days of Lists, if so then leave me a comment. I’ll be posting my lists on Instagram (using #30lists) and on this blog as well. Those of you who follow me on Instagram or Twitter would have seen that I have been unashamedly spamming you all with photos of our new family member. This little bundle of fur is Fifi, who came to live with us a month ago after being rescued from living as a stray. She is a moggie who we think is around 2 years old, although it’s a bit of guess work! She came to us a timid, scared but affectionate girl but over the last month has grown in confidence and has found her voice (sometimes at 5am in the morning!). She loved snuggles and will nuzzle you if she doesn’t think you’re paying her enough attention. She much prefers to be down low than up high and spent the first few days curled up under the kitchen cabinet or hiding behind the sofa. She has these crazy half hours where she runs from one end of the house upstairs to the other end of the house downstairs, often colliding with closed doors or taking out anything (or anyone) in her path. She eventually wears herself out though and then settles down on my lap and we both have a little snooze on the sofa, as she dreams she twitches and shakes her paws. After not having a cat for two years I am so pleased to welcome a cat back into our family and into our new house. She brightens up my days and makes me laugh when things are tough, I can’t wait to see what adventures she gets herself into! Expect to see a lot more of Fifi both here and in my Project Life pages. A twenty something girl living in the heart of the UK. 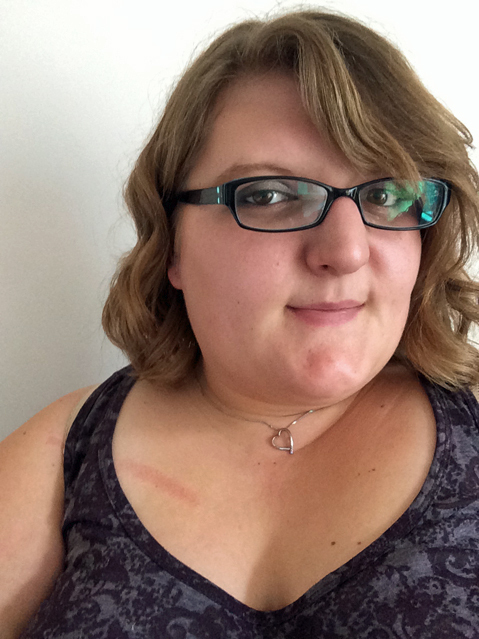 MacGirl's Adventures is a journal of my highs and lows, my challenges and my adventures interspersed with a touch of geek. Common sense seems to evade some people . . . been blocked in my driveway so I can’t get off without jumping the kerb and the Mr won’t be able to get on! Can’t work out who owns it either! !